Raw Denim & Selvedge Expertly Explained | Williamsburg Garment Co.
To know what raw jeans are, you must first know what raw denim is. Raw denim is simply denim fabric that has not been washed, dyed, soaked or touched by water after the manufacturing process. The best of which is often stiff and hard to the touch, while lower quality most often tends to lean on the softer less rigid side. What makes the denim raw has nothing to do with the color, weight, maker or dye. 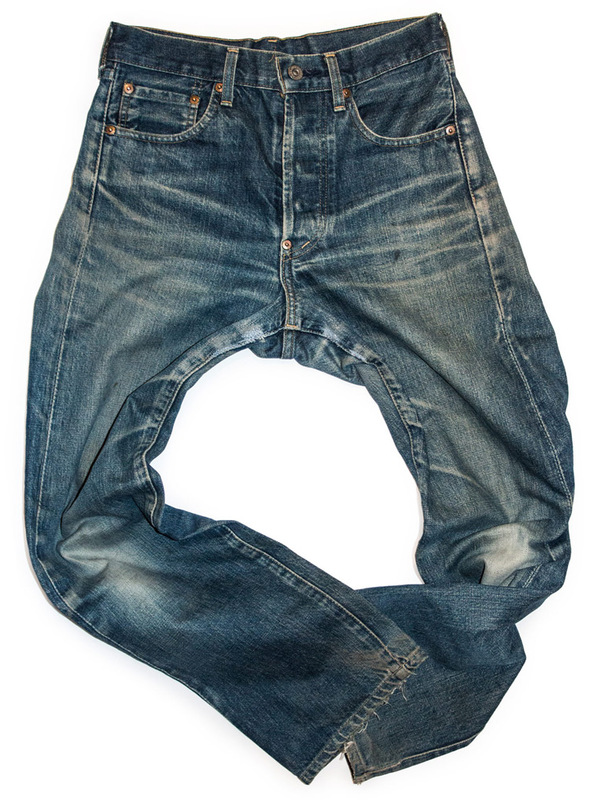 The internet is full of “raw denim” headlines by denim novices – although some produced by popular publications with good writers, they often go into talking about pre-washed jeans, causing confusion to beginners seeking good information. Not to be confused with selvedge denim (but often is), raw, is also referred to as dry or hard denim. 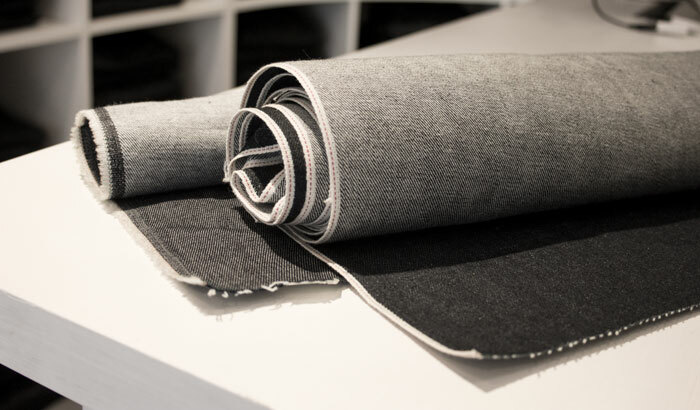 In the photo below, we give you examples of the two types of raw denim fabric, which denim clothing is made. Selvedge denim in the foreground, most popular amongst denim heads, and wide goods or non-selvedge (has frayed edge) in the background. How much do raw denim jeans stretch and shrink? 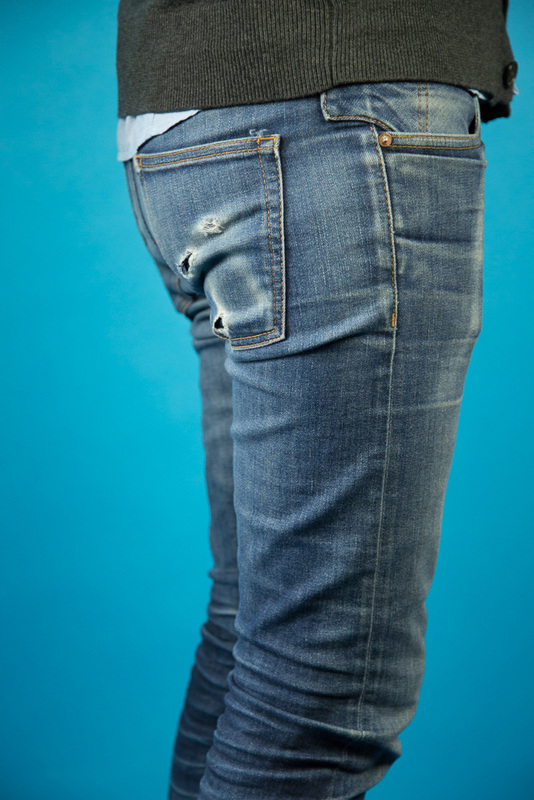 Jeans made in raw denim will stretch as you wear them, and then shrink after you wash them. This is because the denim has not yet come in contact with water, which causes the yarns to shrink and tighten. Most denim is sanforized, which helps reduce shrinkage after washing, however this process will not eliminate shrinkage completely. There will be less far shrinkage on a pair of jeans which have been pre-washed, if any at all. We have lots of articles on this subject in our Blog. Check out our guide on the Life Cycle of Raw Jeans Shrinkage and Stretching for an in-depth analysis. Denim purist choose selvedge denim mainly for tradition and legacy of shuttle loom manufacturing. It doesn’t necessarily equate to better quality, but an old-school, slower, less perfect artisan approach at denim fabric production. 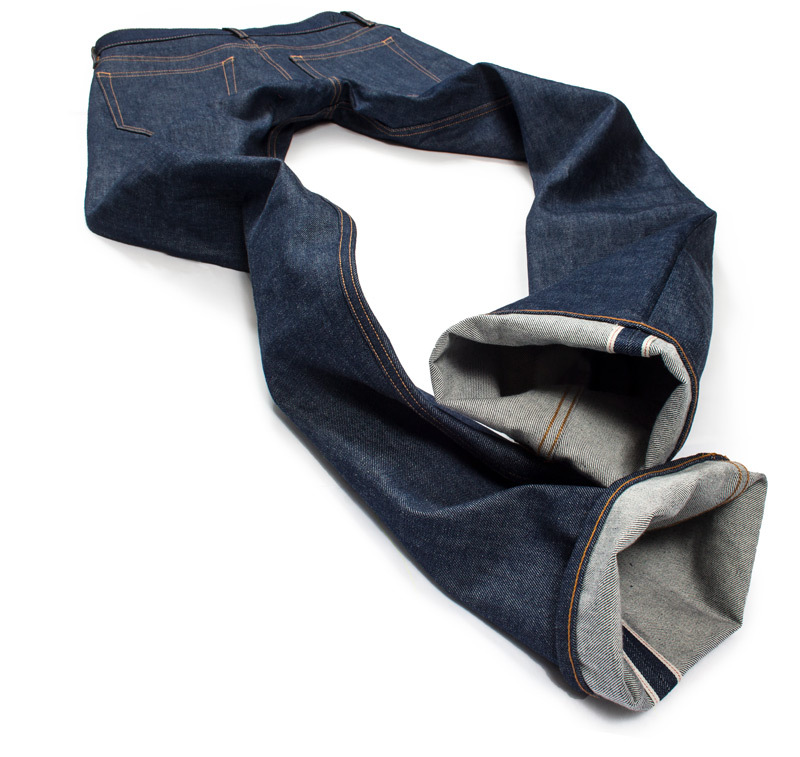 Selvedge denim is particularly desirable for those that like to roll or cuff jeans. Rolling exposes the selvedge or self-edge. Non-selvedge denim, also called wide goods, regular denim or just doesn’t have the word selvedge attached. It is the result of the modern approach to making denim fabric using projectile looms. Faster, cheaper with less flaws. Is selvedge better quality denim? 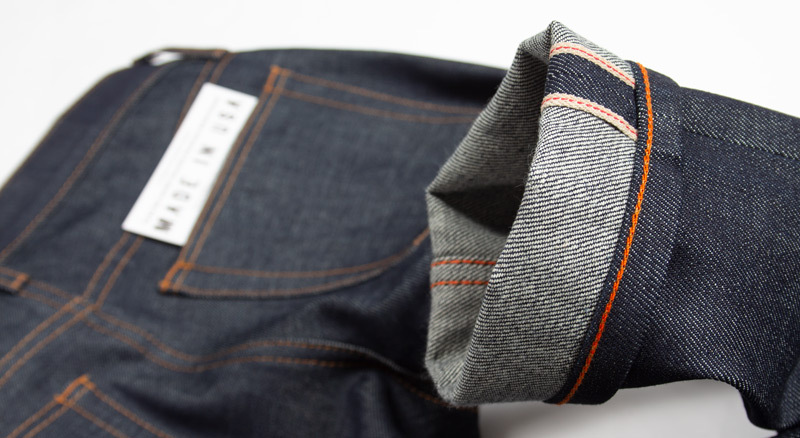 Don’t let the name selvedge fool you into thinking it is better denim. 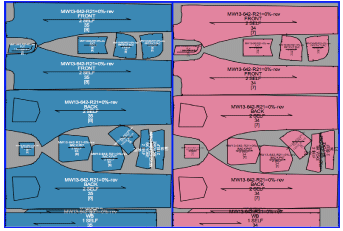 Like all products, quality standards can range depending on the supplier. There are good and bad quality fabrics in both selvedge and non-selvedge denims. Often, mass producers of value priced jeans use suppliers not recognized for making high-quality denim. Some mass-market brands will also use the cache of mills known for producing quality denim to produce cheap denim that looks the part, so do your home-work. Why is selvedge denim more expensive? Selvedge jeans are likely to be more expensive than non-selvedge styles in a brands collection for two reasons. First, selvedge denim is narrower; ranging roughly between 28” to 34,”as compared to non-selvedge which can be around 57” to 64” wide. This means a pair of selvedge jeans could use about twice as many yards of fabric as compared to non-selvedge jeans cut from wider fabric. The second factor is the price of the fabric. Selvedge, which is usually made on vintage looms, usually cost a few dollars more per yard (depending on the supplier), than modern, wider non-selvedge denim. 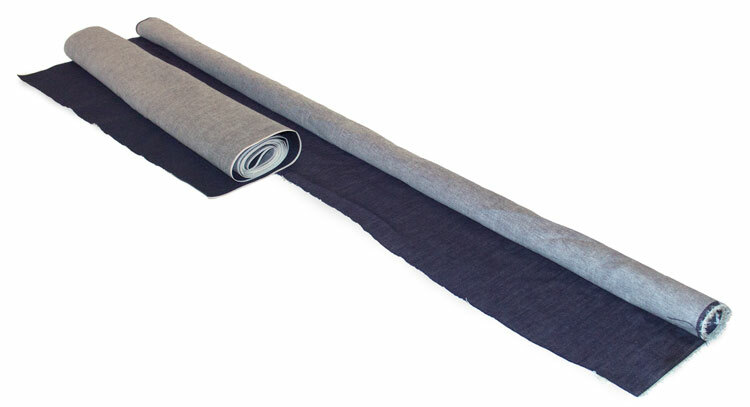 The below photo shows a roll of selvedge denim on the left. Wider, non-selvedge roll of raw denim on the right. The images below are jeans markers. The patterns are spread to maximize minimum fabric waste on selvedge (shown in top image) and non-selvedge (shown in the bottom image). Two pair of jeans cut on the narrower selvedge denim would require nearly 6 yards of fabric, while two sizes cut on wider non-selvedge would use about 2 1/2 yards. Aging is one of the most anticipated phenomena that results with the investment of time devoting to a pair of jeans which start out raw. Not every pair will turn out a beauty, but then again, beauty is in the eye of the beholder. Or, in some cases, the wearer and lifestyle. Denim that starts out raw, forms defined creases and valleys forged from the body of the owner. Areas of high fiction fade the fastest. Valleys shaped by frequent bending form dark areas while the high points, which are more susceptible to abrasion, break down into higher contrast fading. For the most reliable information on raw jeans, and those who want to get deep into the details, there a hand full of online publications we recommend which usually get immersed in the subject. We’re pretty confident Williamsburg Garment Company is one of the best, so we have no problem recommending publications even those who don’t mention or link us.